UPDATED: Channel Five sold to Richard Desmond for £103.5m | What Hi-Fi? Richard Desmond, owner of The Daily Express and publisher of OK! magazine, has bought Channel Five from RTL for £103.5m. Gerhard Zeiler, the chief executive of RTL, said: "With a significant recovery of the UK TV advertising market and Five performing well in the first half of 2010, we saw a window of opportunity to realise a transaction based on a fair evaluation of Five. The disposal is in line with RTL Group's strategy of being number one or two in each of our markets. "I would like to thank the whole team at Five and CEO and chair Dawn Airey for their passion and professionalism, especially in the difficult past 20 months which saw a comprehensive restructuring of the company." Desmond has indicated he will invest in TV content and has expressed an interest in broadcasting Big Brother on the channel. Five has pulled out of Project Canvas, the scheme to develop an internet-connected TV service involving the BBC, ITV, C4, BT, Arqiva and TalkTalk. The channel, which has been put up for sale by parent company RTL, is reviewing its digital strategy and does not see the project as a key priority at this stage. Its share of the £116m scheme is likely to be funded by the remaining partners. The BBC Trust approved Project Canvas last month. The service will see the development of a range of set-top boxes to access on-demand TV services such as the BBC iPlayer and ITV Player on Freeview and Freesat. In March, Five was forced to pull out of launching a high-definition TV service on Freeview before 2012 after failing to give a launch date or programming schedule to media regulator Ofcom. Five HD launches instead on Sky's digital satellite TV service tomorrow, July 13th. 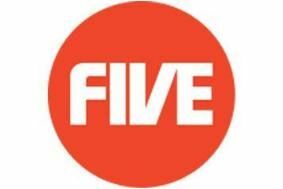 Those interested in buying Five include publishing tycoon Richard Desmond, owner of OK! magazine, and Big Brother producer Endemol.